Warner Brothers chose picturesque Kanab in Utah and Zion National Park as locations for their second film in the dazzling new colour process Warnercolor – it was the first film to be released in Warnercolor although the first to be made was Carson City which was released later in 1952. The story was a tale of devotion between a cowboy and a stallion and starred Steve Cochran and Wild Fire The Wonder Horse and mainly centred on his (in the end ) successful attempt to retrieve his horse from a Rodeo troop that had claimed him. The film is a very well staged and impressive fight to the death between a Lion and Wild Fire the horse. The film was one I well remember from childhood but am pretty sure I never got to see it. 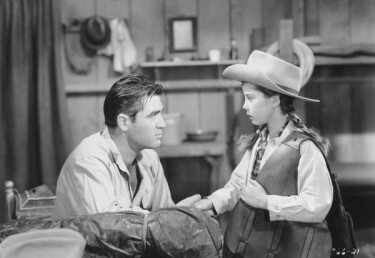 I did see it however here in the UK on TCM a week or two ago. The theatre painted over the text “in warner colour” in the lower art area, probably because they were showing a black and white print of the film. This vintage movie theatre poster was made 63 years ago in 1952 This was an offbeat role for Steve Cochran who was typecast in Hollywood in tough guy, gangster roles. 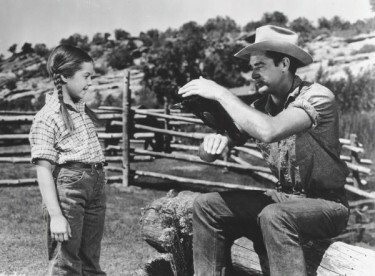 The rapport between the cowboy, the stallion and a young girl played by Sherry Jackson was gentle and realistic. 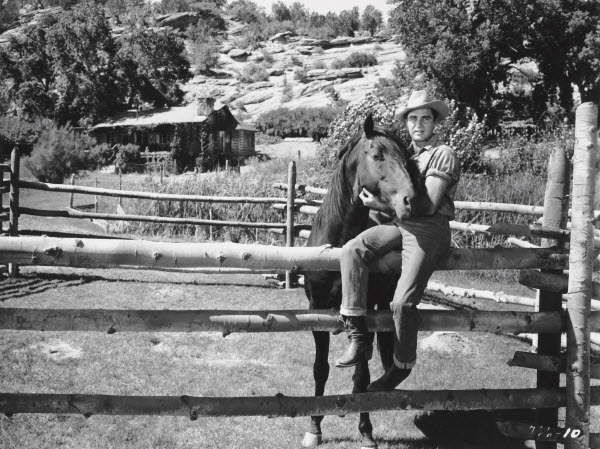 Filmed in Warnercolor, on location in Wyoming, it rings true to life as the cowboy searches for and rescues a horse from a short, cruel life in a rodeo. 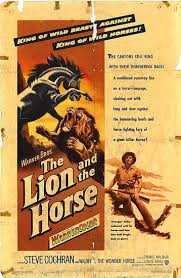 There is humour and action, with an escaped circus lion, a brutal owner, as the cowboy bonds with the abused animal. 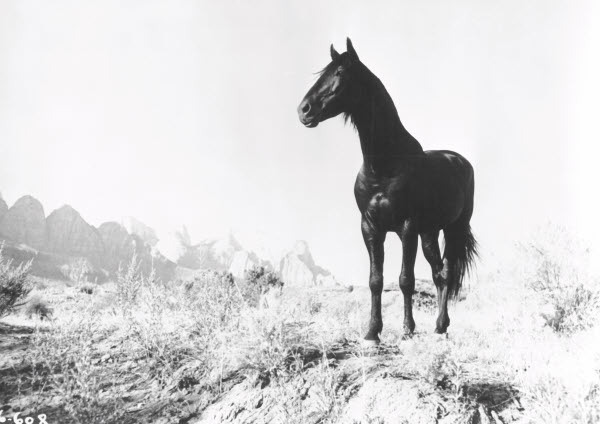 A good film for adults and children and a plea for the protection of wild horses. 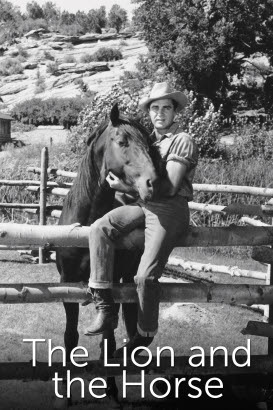 Also if you are a Steve Cochran fan, a rare treat.